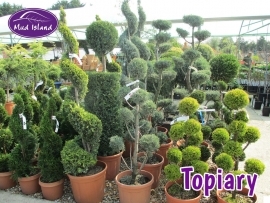 Topiary is the art of training plants (typically evergreen shrubs and trees) into intricate or stylized shapes and forms. 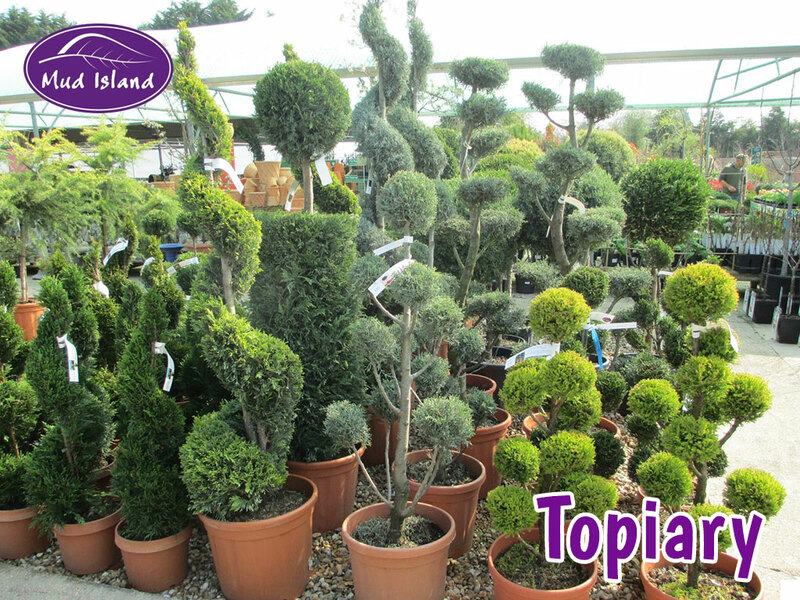 Topiary has been used historically in many different European gardening styles, from early Roman gardens through to modern day. 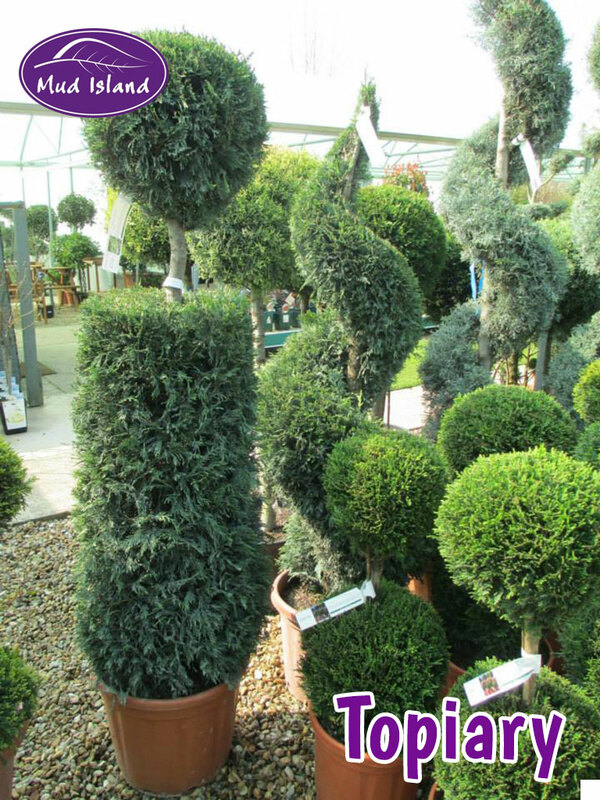 From box balls to yew ‘peacocks’, it is so versatile and striking that many are inspired to create their own piece of living architecture. 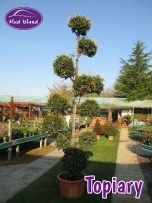 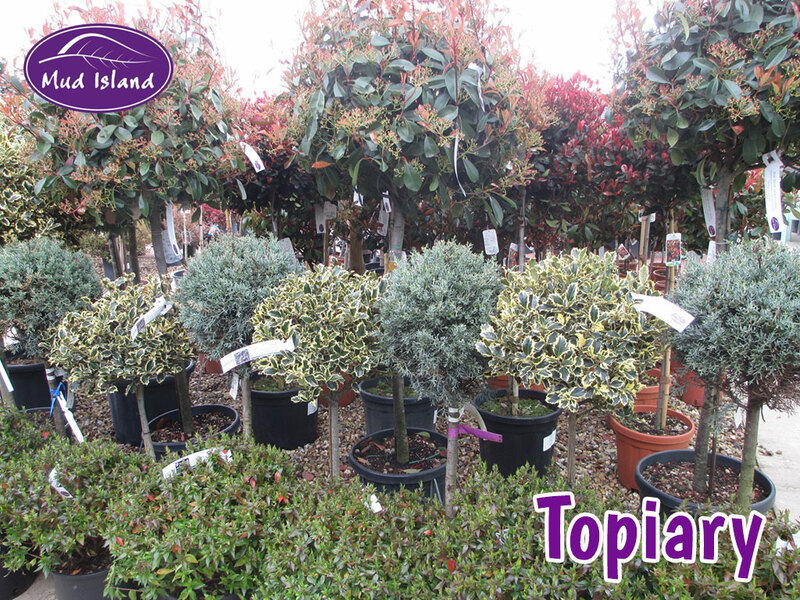 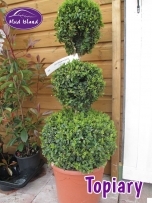 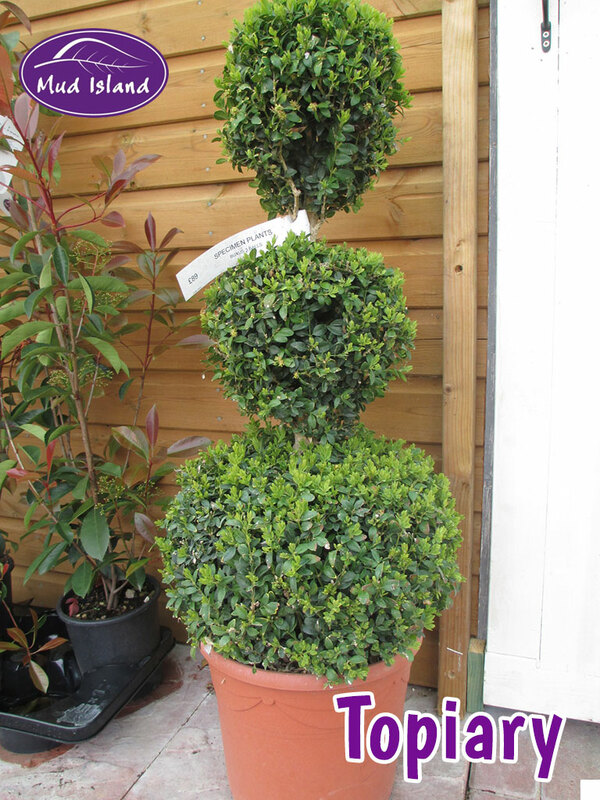 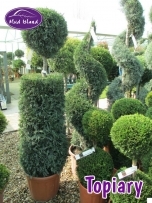 Traditional subjects for topiary have usually been evergreens to remain a permanent feature throughout the seasons. 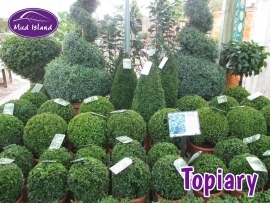 Typically box (Buxus sempervirens) and yew (Taxus baccata) are used, however other evergreens such as privet (Ligustrum japonicum), holly (Ilex) and Lonicera nitida can be used. 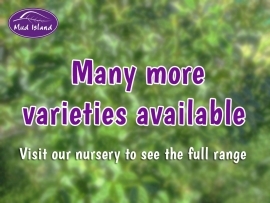 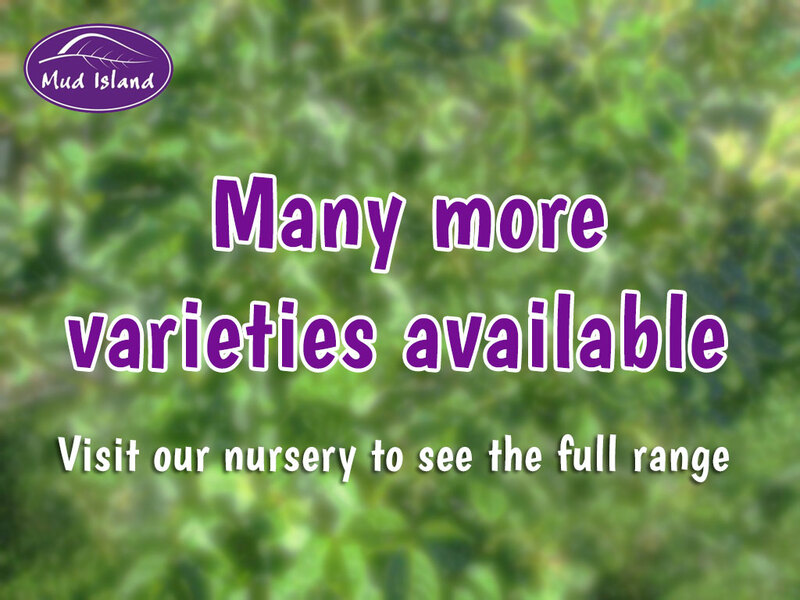 We have a great selection of varieties and shapes, including hearts, spirals, cones and multi-balls; specimens do vary throughout the year so visit us to see current choices.